One of the first signs of summer is the appearance of tender baby artichokes in farmers markets. When they’re this young, the whole vegetable is edible. Blanched until tender, then lightly grilled, these wonderful globes are enhanced with a vibrant and zesty lemon and caper vinaigrette made better-for-you with canola oil. They’re perfect as an appetizer or side course. 1. Fill large bowl with cold water. Cut lemon in half and squeeze juice into water followed by squeezed lemon halves. With artichokes, snap off bottom three rows of outer leaves or any dry, tough ones. Leave part of stems if desired. 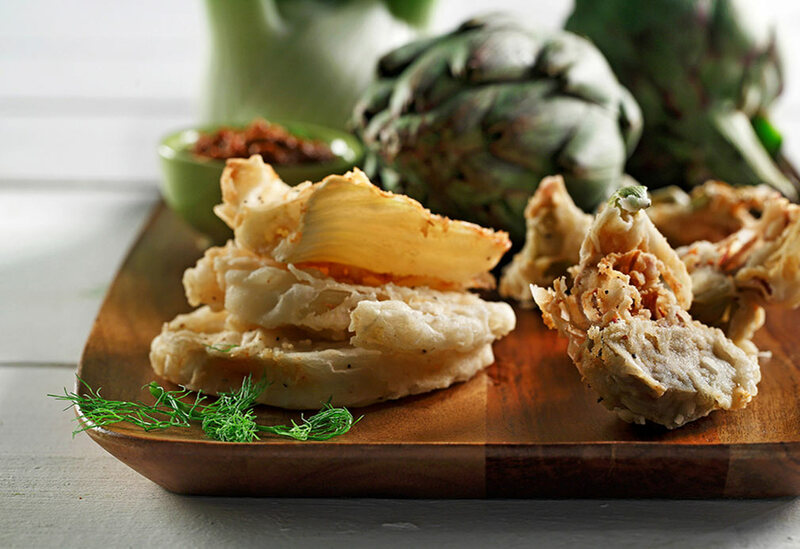 Cut tips from artichokes and halve lengthwise. Place in lemon water to prevent browning. 2. Bring large pot of salted water to a boil. Add artichokes and boil until crisp-tender, about 5 minutes. Remove and place into ice-water bath. Drain well to dry. Heat barbecue to medium heat. Brush artichokes with canola oil and grill until tender and charred in spots, about 5 minutes each side. Transfer to serving platter. 3. To make Lemon-Caper Vinaigrette: In bowl, combine all ingredients. 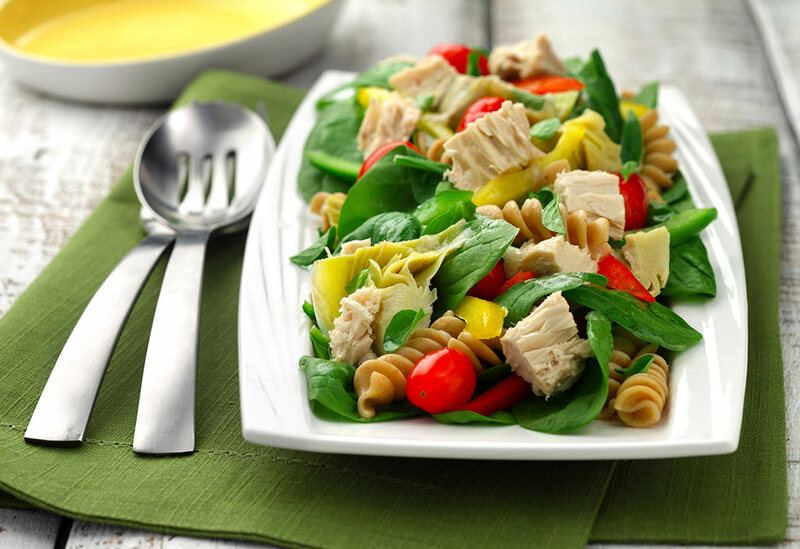 Drizzle some vinaigrette over artichokes, reserving extra to serve on side. 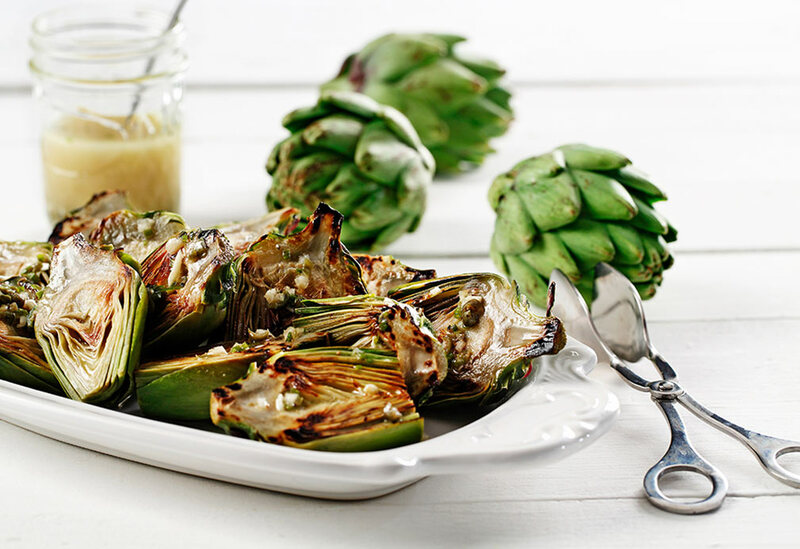 Serve artichokes warm or at room temperature. 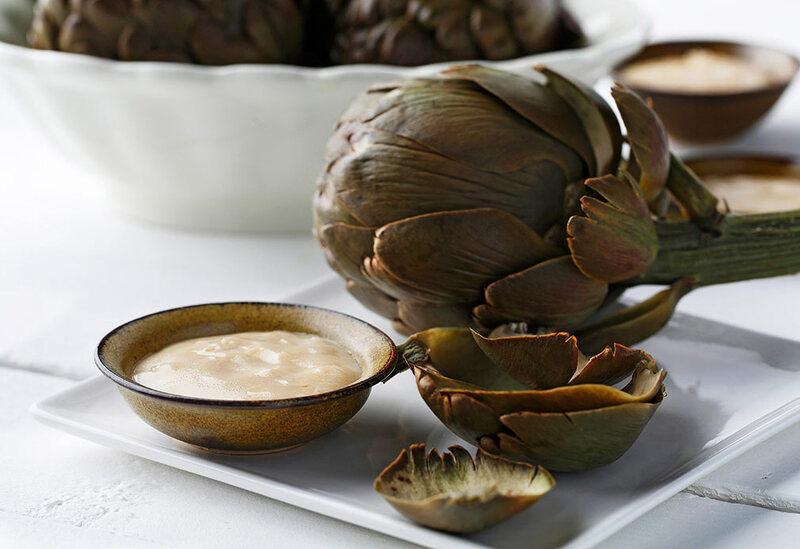 Add some zing to your artichokes with this mustard tarragon vinaigrette. Canola oil-based dressings stay free-flowing in the refrigerator thanks to the oil’s low saturated fat content.